It’s my favorite time of the year when the air becomes crisp enough for cozy sweaters and leather! I love the ease of just throwing on a great sweater with out fussing with a heavy coat just yet. I’m taking full advantage of the perfect fall air before it’s time to bundle up. Adding “70’s flair” to your fall wardrobe is as easy as adding a couple statement pieces. When incorporating trends into my wardrobe I never think of wearing a trend from head to toe. It’s important not to confuse “trend” with fashion basics. For this look, I added a wool biker jacket to add a more polished look to the denim.Choose any of the following for an instant 70’s Flair ! 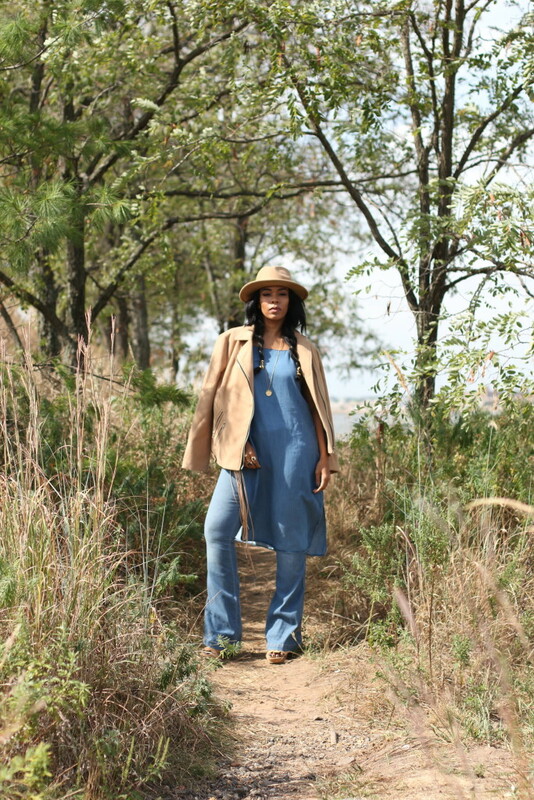 Floppy Hat or Fedora,Flare Pants or Jeans,Fringe,Suede,Culottes and a great jumpsuit.